On November 12th, Seth DeMoor will be interviewed on the live CatholicTV talk show “This is the Day”. Seth is a recent college graduate who captured national attention earlier this year after biking about 2,400 miles across the Southern United States interviewing Catholics he met along the way and posting their stories in brief videos online. Seth’s website, www.onebillionstories.com has hundreds of video-recorded interviews he took during his trip in early 2010. These videos cover a wide range of topics such as conversion, testimonies, faith stories by athletes, and much more. In January 2011, Seth will travel across the U.S. again (by car) to gather more stories, mostly from young Catholics at Fellowship of Catholic University Students conferences. In preparation for upcoming mid-term elections, CatholicTV.com, the CatholicTV iPhone app, and CatholicTV now feature a video series called “Catholic Citizenship”. These videos are based on a letter written by the United States Conference of Catholic Bishops. The Catholic Citizenship videos follow the format of the Bishops’ letter “Forming Consciences For Faithful Citizenship”. This document addresses relevant questions such as “Who in the Church Should Participate in Political Life?, What Does the Church Say About Catholic Social Teaching in the Public Square?”, and more. The document also addresses specific issues such as human life and social justice. The Catholic Citizenship videos can be viewed now by using the following link: http://www.CatholicTV.com/catholic-faith. These videos also air currently on CatholicTV cable. Hosted by Fr. 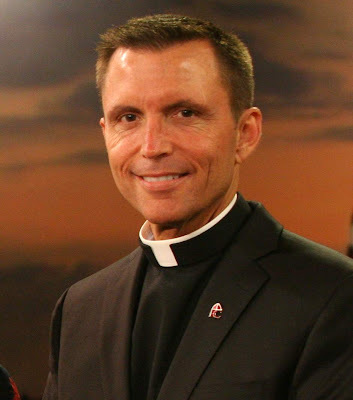 David O’Leary, a priest of the Archdiocese of Boston and Chaplain at Tufts University the Catholic Citizenship videos currently air between various programs on CatholicTV. On November 9th, Judy McCloskey will be featured on the CatholicTV talk show “This is the Day”. McCloskey comes from a military family. Her father fought in WWII and even helped liberate the Nordhausen Nazi concentration camp in Germany. In addition to raising six children and being the wife of a Navy officer, McCloskey founded a unique organization called CatholicMil, which serves personnel, chaplains and families of those serving in the US Military. The group produced a music video “In God We Trust” featuring military personnel from all over the world, the video will air during This is the Day. McCloskey is also a current board member of CatholicMil. CatholicMil distributes free care packages to soldiers, and free materials to military chaplains. CatholicMil also promotes priestly vocations to the military chaplaincy, and promotes work towards the canonization of Servant of God Vincent Capodanno. Fr. Capodanno was an American Navy Chaplain who was killed in Vietnam. More information about CatholicMil is available at www.CatholicMil.org. On November 6th and 7th, CatholicTV will air coverage of the Pope’s visit to Spain. During his visit, the Pope will consecrate Sagrada Familia Church, an enormous Church which has been under construction since 1882 and attracts over two million tourists per year. Coverage will air at CatholicTV.com and on CatholicTV cable outlets on November 6th and 7th at noon and rebroadcast at 8PM. Coverage on November 6th will include the Pope’s welcoming ceremony, the Pope’s visit to the Cathedral of Santiago de Compostela, and Mass in Obradoiro Square. Coverage on November 7th will include the Papal visit to Barcelona, including the Mass to consecrate the church and altar of La Sagrada Familia Church. The Pope is also scheduled to meet Spanish bishops, the king and queen of Spain, and the prince and princess of Asturias during the two-day visit. Cardinal Martínez Sistach of Barcelona said, "The presence of the Pope in the consecration of this Church of the Holy Family manifests the importance that marriage and the family have for the good of persons, of the Church and of society, and how one must work at the service of the defense and help of families”. According to the newspaper El Periódico de Catalunya, 2.26 million people visited the partially built church in 2004, making it one of the most popular attractions in Spain. 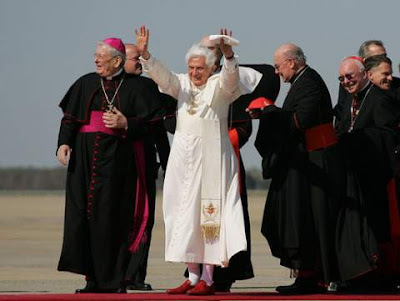 Typically, Pope Benedict has made three apostolic journeys per year; video archives of these visits may be accessed any time at www.CatholicTV.com/pope-benedict-xvi (including the recent Canonization Mass, visit to the United Kingdom, visit to Portugal, and other papal events). 27-year old Matt Weber hosts the most downloaded podcast at Harvard University’s iTunes channel. When he’s not interviewing celebrities like Harvard president Drew Faust and Academy-Award-Winning director Davis Guggenheim, or when he’s not working towards his Master’s degree in education, Matt produces short videos for CatholicTV. His weekly “labor of love” is producing these one to two-minute videos. Viewers find his videos hysterical while at the same time relevant because they deal with real issues of faith such as confession and family life. Weber started producing videos for CatholicTV after a chance encounter with CatholicTV President Fr. Robert Reed in a restaurant. Since Weber was a CatholicTV viewer, he took advantage of what he called “a celebrity sighting” by greeting and talking with Fr. Reed. Soon thereafter, Weber began producing videos for CatholicTV. “I hope to reach out to young adults. I hope to inspire people and make them laugh. When I’m producing these short videos, it’s almost like a form of prayer. I want to show that there are young people who still care about God, religion, and the Catholic faith” said Weber during a phone interview with CatholicTV. Perhaps the most unique characteristic of Weber’s videos on CatholicTV is their use of humor throughout. One video shows Weber praying in front of a statue of the Virgin Mary. His own voice describes his fears that people who see him praying outside might think that he suffers from schizophrenia. Another of his videos begins with him saying “I have a confession to make, I don’t like going to confession.” Later in the video, he says “I do like COMING from confession, it’s probably one of the best feelings in the world”. 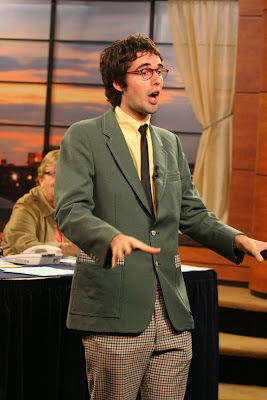 “I hope to be the Andy Rooney of CatholicTV” said Weber. Matt Weber’s videos appear frequently on the live CatholicTV talk show “This is the Day”. They also air throughout the week on CatholicTV between various shows or on CatholicTV’s “Blinks” show. Matt Weber’s latest video is entitled “Family Vacation”. This video features Matt and his family on a vacation in Washington, D.C. This video will also be added to CatholicTV’s website. The live talk show This is the Day airs each Tuesday and Friday at 10:30AM and is rebroadcast throughout the week. The series, called “Gospel in Mosaic”, gives viewers a unique look into the spirituality of one of the two American Archbishops named Cardinal-delegates by Pope Benedict XVI on October 20th. Gospel in Mosaic explores the mysteries of the Rosary using the elaborate mosaics in America’s largest church, The Basilica of the National Shrine of the Immaculate Conception. During the show, Cardinal-designate Wuerl, who has a doctorate in theology, explains in detail all four sets of the mysteries of the Rosary. This series, produced by CatholicTV, offers a unique look at Cardinal-designate Donald Wuerl. This unique Archbishop of Washington, D.C. was one of only 3 non-Cardinal’s permitted inside the conclave which selected Karol Wojtyla as Pope John Paul II. 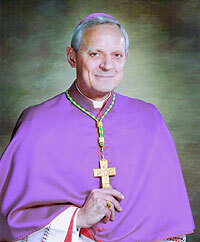 Wuerl was ordained bishop on January 6, 1986 at St. Peter's Basilica in Rome, Italy by Pope John Paul II. Wuerl is no stranger to television. He hosted a television program, The Teaching of Christ, in 1990 and wrote an adult catechism with the same name. Gospel in Mosaic also offers viewers a detailed look at the interior of the Basilica which houses an incredible 70 chapels honoring Mary. The main seating area of the Basilica is surrounded by chapels which have images of well-known Marian apparitions such as Our Lady of Guadalupe in Mexico, Our Lady of the Miraculous Medal, and many others. These chapels in the main seating area all contain beautiful mosaics which are rarely seen in the modern churches in the United States. “50% of the world’s population is under the age of 30. If Facebook were a country, it would now be the 3rd largest. It’s a mission field like no other.” These are just a couple of insights that Matt Warner pointed out in a recent blog post. On November 5th, social media expert and blogger Matt Warner will be interviewed live on the CatholicTV Talk Show “This is the Day”. As always, the interview will be viewable live online at CatholicTV.com (and on cable television where available). 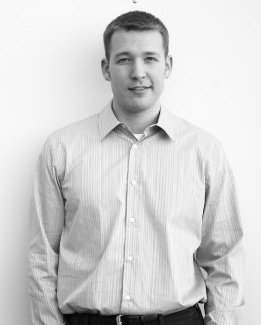 In 2008, Matt left his engineering career to focus full time on new media and the Catholic faith. 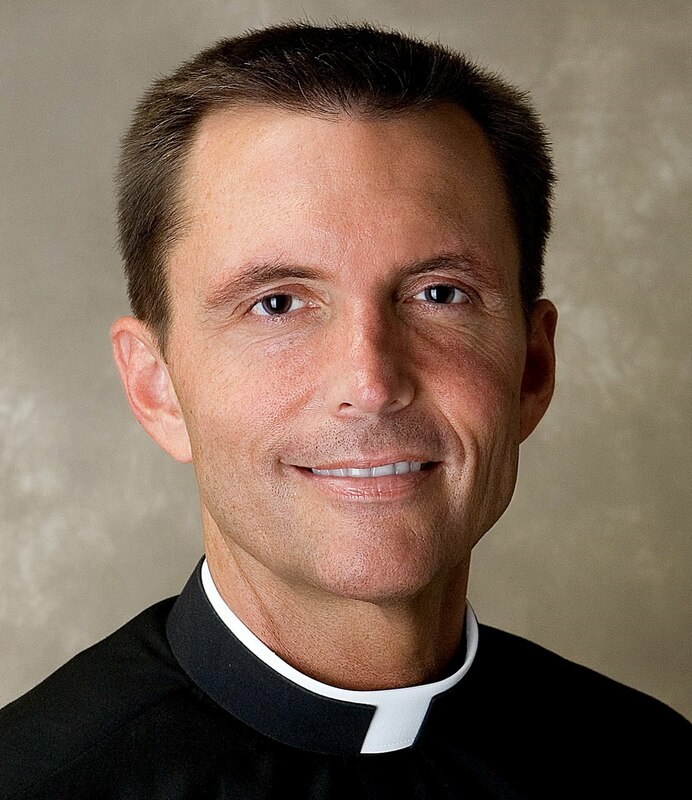 He is the founder of flockNote.com, TweetCatholic.com, QuoteCatholic.com, and his popular blog, FallibleBlogma.com. Matt is a featured blogger on the National Catholic Register’s website. The upcoming month of November begins with a glorious but somber reminder. We celebrate the life and witness of the many men and women, boys and girls who were faith-filled in their life journey and now experience God in the fullness of life in heaven. And, of course, on All Souls Day we remember all those who have died and pray in particular for those who are waiting in hope for the vision of God’s face. It is our privilege at the CatholicTV® Network to pray each day for all of your loved ones who have died. Many have sent in the names of deceased family and friends, and those names are located near the altar in our beautiful CatholicTV chapel. Each and every day the priest who celebrates the television Mass remembers in a particular way your loved ones and friends who have gone home to God. Although the month of November is focused in a sense on death, CatholicTV is very much alive in Christ. The upcoming November CatholicTV Monthly Magazine will make you more aware of a couple of innovations we have prepared for you. You will find out more about the new on-line Catholic community at iCatholic.com as well as a more extensive and national edition of the magazine available on-line and on multiple handheld and personal devices. Our goal, of course, is to extend the CatholicTV Network to as many people as possible – the homebound, the sick, families, young people and those whose livelihood requires them to travel a great deal. The goal, of course, is to encourage a deeper commitment among all of our viewers to Jesus Christ and to connect as many people as possible to the life-giving gift of His universal church. May God bless you all for your continued attention and support of the CatholicTV Network, and may the living God grant to all our departed brothers and sisters eternal rest and peace. In November 2009, CatholicTV launched its widget “CatholicTVjr”. Currently 154 different website owners have reported adding the widget to their websites. It’s so easy to add that many agencies and parishes add the standard player to their websites. The widget is a video player which can be embedded onto any website and allows website visitors to instantly watch over 30 different television programs by CatholicTV without charge. CatholicTV is a non-profit corporation. Of the 154 websites which have added the widget, 33 are the websites of various dioceses across the United States including the Dioceses/Archdioceses of Miami, New Orleans, Orlando, Salt Lake City, Boston, Omaha, Gallup (TX), and many others. CatholicTVjr has also been added to the website of the United States Conference of Catholic Bishops and the websites of several chapters of the Knights of Columbus. The offering of so much free television programming on the widget is unprecedented. All 4 major national television networks offer widgets, but only CatholicTV offers full-length programs for free. The President of the CatholicTV Network, Fr. Robert Reed came up with the idea because he had “the desire to share CatholicTV’s content with dioceses, parishes, schools, and anyone who has a website. It’s the world’s first Catholic television widget”, said Reed. CatholicTVjr can be added to any website by visiting www.CatholicTVjr.com. This URL offers the code that can be easily pasted into any website in about as much time as it takes to say a “Hail Mary”. In addition, CatholicTV invites interested parties to request a customized version of CatholicTVjr which will only include the shows requested. CatholicTVjr is also available in 3 different sizes. Most available programs are original CatholicTV programs and these include the Catholic movie review show “Spotlight”, the Catholic reality-television series “House+Home”, Vatican programming, the Catholic game show “WOW: The CatholicTV Challenge”, Catholic news, Catholic Spanish programming and more. CatholicTV also invites anyone who has professional quality video that exhibits the life of the Church in their local area to send it to CatholicTV where it just might be featured on CatholicTVjr around the globe. On Friday, October 29th, the canonization cause for Servant of God Patrick Peyton, CSC will be discussed on the CatholicTV talk show “This is the Day”. Fr. Peyton was internationally known as the “Rosary Priest”. Fr. David Marcham, CSC, Vice-Postulator for the cause for the canonization of Fr. Peyton, will appear on This is the Day to talk about Fr. Peyton’s cause. 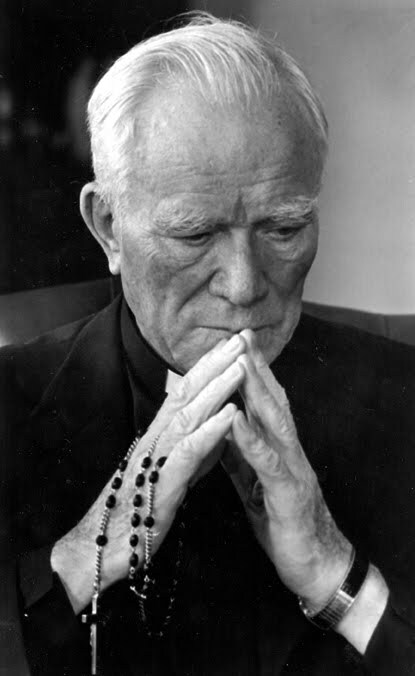 A recent article in the Catholic Herald (Arlington, VA) wrote that “Father Marcham said Father Peyton is one who has “given countless people around the world a reason for hope.” Including Father Marcham himself. Fr. Peyton was well known for his Rosary rallies, during which he promoted family prayer, especially the rosary. Fr. Peyton’s rosary rallies were attended by millions of people through the years. It was through these rallies that Fr. Peyton became widely known. Fr. Peyton also used radio, film, and television to promote family prayer. Fr. Peyton also starred in television productions in which he prayed and reflected on the mysteries of the Rosary with celebrities such as Frankie Avalon, Jane Wyatt, and many others. CatholicTV has aired documentaries about Fr. Peyton including “A Dedicated Man” and “A Most Unusual Man”. CatholicTV has also aired Fr. Peyton’s show Matter of Faith, whose guests have included Archbishop Fulton Sheen and many others. On Friday, October 22nd, Peter and Catherine Fournier will appear on the live CatholicTV talk show “This is the Day”. Peter and Catherine ho a website called domestic-church.com, which was largely inspired by Pope John Paul II’s writings. Their website offers families a wide variety of activities, crafts, essays and stories to be used for the great feasts and seasons (and ordinary time) of the Church. During their appearance on “This is the Day”, Peter and Catherine will discuss their book “Advent, Christmas, and Epiphany in the Domestic Church”, which includes activities for families to better understand and celebrate the Advent, Christmas, and Epiphany seasons. The book is a large size, spiral bound volume. It is meant for families to learn together and share the joys of these happy times of the liturgical year. Filled with a variety of family activities, saint’s celebrations and crafts, this book has something for everyone in the family. Family activities include making an advent wreath, a Jesse Tree with all its symbols, cloth Nativity figures, words for 21 advent and Christmas songs, recipes for special cakes and breads and more. Also included are stories of special saints for the season with activities and prayers. Finally, it offers numerous craft activities including cross stitching Christmas patterns, gift boxes, table-top and Christmas tree Angels, table runners, and many coloring pages. It also includes a helpful index. This fall, CatholicTV will be exhibiting at several conferences and trade shows across the U.S. in order to create awareness about CatholicTV and to offer Catholics wholesome programming amidst few alternatives. 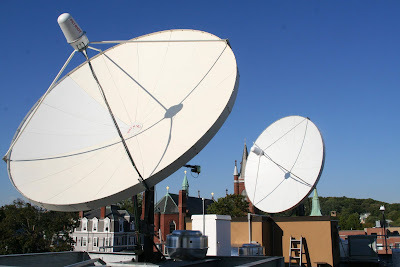 In 2009, CatholicTV attended the Catholic Men’s Conference in Worcester, Massachusetts, where dozens of men signed letters requesting that CatholicTV be added to Charter Cable’s lineup. A few months later, CatholicTV was added to Charter Cable’s lineup. “We had many requests to add the network and we listened to our customers,” said Gregory Garabedian, Vice President and General Manager of Charter Cable in Massachusetts. On October 26th, Patti Armstrong will be interviewed on the live CatholicTV talk show “This is the Day”. Patti and her husband have 10 children including two adopted AIDS orphans from Kenya. Patti has authored 8 books including "Catholic Truths for Our Children"- a guide to help parents pass on their Catholic faith. From living a life that flaunted Catholic teachings, to becoming a Catholic writer and speaker, Patti Maguire Armstrong was transformed after she began to learn and embrace her Catholic faith. 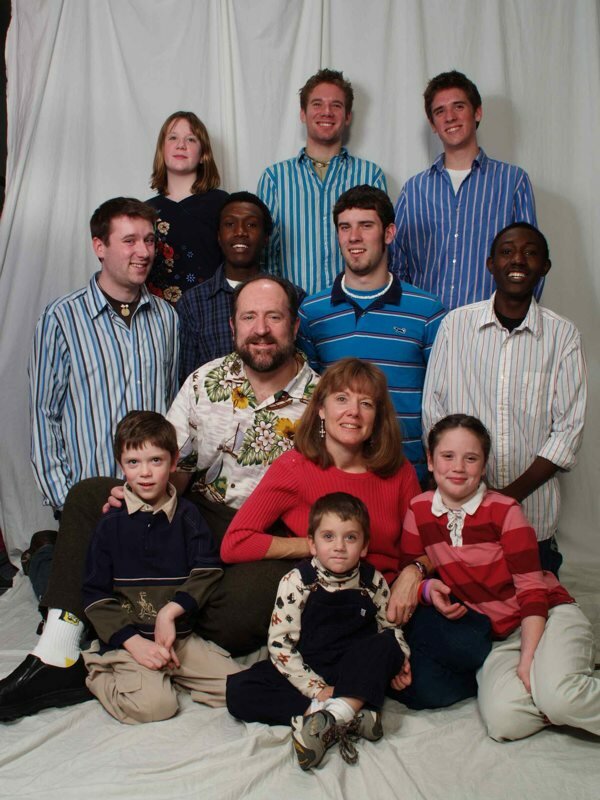 She lives in North Dakota with her husband Mark. Patti has a degree in social work and a master’s in public administration. She worked in these fields before staying home full-time to raise her children. Writing began as her hobby. As a freelance writer, Patti has published more than 400 articles for both secular and religious publications. For a time, she even wrote for the National Enquirer before realizing that serving God was a 24/7 venture, without compromise. She is a frequent writer for the Catholic Exchange website and under her own column for Today's Catholic Women. Continuing in its mission of inspiring the next generation of U.S. Catholics, CatholicTV® Network is pleased to offer its entire slate of programming in HD beginning on Wednesday, October 13, 2010. This announcement marks the third major technological advancement for CatholicTV network in the last month. First, the network launched iCatholic, social network community, nicknamed “Facebook for Catholics” by the media, that allows users to create profile pages, participate in forum discussions, upload photos and videos, and interact with members of the Catholic community from across the country. Then CatholicTV Network rolled out a new digital magazine within iCatholic (www.catholic.com/magazine) that is available online as well as on iPhone and iPad apps. Now CatholicTV continues to utilize technology to enhance the network and attract new viewers as the network goes full HD. “Having the entire network available for HD viewing both on TV and on CatholicTV.com will continue to bring more people to our family-positive shows,” said Father Robert Reed, CatholicTV Network President. With a wide array of shows such as “This is the Day,” an international newscast and interview program with guests from around the world, “WOW! The CatholicTV Challenge” for children, “House + Home in 3D,” one of the many offerings in 3D, CatholicTV continues to be an industry leader in original religion-based television. Lisa Hendey is Returning to the Boston Area! Sunday, October 17 – “Meet and Greet” with Lisa Hendey and Pat Gohn at John Harvard’s in Cambridge – 2:30 – 4:30 pm. Join us for a “no host” gathering with Boston area friends. Come for as long as your schedule permits. I will be attending 5:00 pm Mass that night at St. Paul Parish in Cambridge. 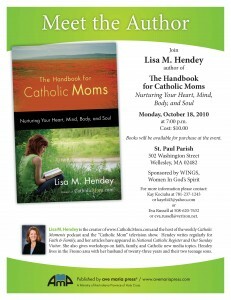 Monday, October 18 – St. Paul Parish, Wellesley – Join Lisa Hendey and musical guest Susan Bailey for a special evening sponsored by the St. Paul’s WINGS group. The event begins at 7:00 pm and the charge is $10 per person. For more information please contact: Kay Kociuba at 781-237-1243 or kayeli43@yahoo.com or Eva Russell at 508-620-7632 or eva.russell@verizon.net. On Oct 19th, Maureen Provencher, author of “Mysteries in My Hands” will appear on the live CatholicTV talk show “This is the Day”. Maureen will discuss her book about the Rosary which she wrote for teens. Her interview comes during the Marian month of October, which is dedicated to the rosary. 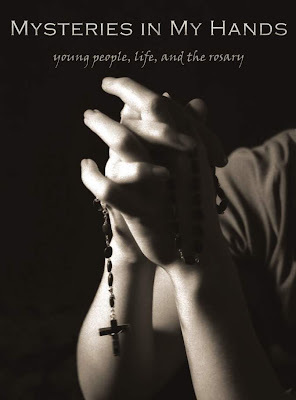 Mysteries in My Hands is a book for teens who want to learn how to pray the rosary. The book discusses how the rosary came to be and includes scripture references and quotes from Pope John Paul II's Rosarium Virginis Mariae. The prayers of the rosary are also in the book as well as a detailed outline of the beads. The book also includes reflective writings from adults and young people, which introduce readers to the importance of the rosary today. Maureen P. Provencher has served professionally in the young ministry field in New England for more than fifteen years, in parish, regional, and diocesan settings. She contributed to "A Listening Session for Young People" in the book Creating Safe and Sacred Places (Saint Mary's Press) and to the Saint Mary's Press Web site with an article called "Walking with Teens in Hope." In addition, she has contributed to several issues of the World Youth Day resource manual (National Federation for Catholic Youth Ministry) and has been a presenter at various events, institutes, and conferences. Maureen holds a degree in religious studies from Saint Michael's College, Colchester, Vermont. On October 3rd, Pope Benedict spoke of the Rosary and prayed that “daily meditation of the mysteries of Christ in union with Mary, the 'praying Virgin', might fortify us all in faith, hope and charity." On October 17th, CatholicTV will air the canonization Mass of six new saints, including Blessed Mary MacKillop from Australia and Brother André Bessette from Canada. Pope Benedict XVI will preside at the Mass, which will take place in St. Peter’s Square in Vatican City. The Mass will air at CatholicTV.com and on CatholicTV cable outlets at noon (Eastern) and again at 8PM. 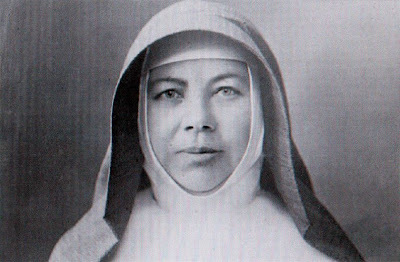 In addition, CatholicTV will air a documentary on Blessed Mary MacKillop, “Mary MacKillop: Australia's First Saint”, at 11AM and again immediately following the second broadcast of the Mass at 8PM. As part of its commitment to vocations, CatholicTV features a program on the founder of the Congregation of the Holy Cross, Blessed Father Basil Moreau, in which Blessed André is prominently featured. Blessed Candida Maria of Jesus, baptized Juana Josefa Cipitria y Barriola, founder of the Congregation of Daughters of Jesus, born in the hamlet of Berrospe, Andoain (Guipuzcoa), Spain, on May 31, 1845 and died on August 9, 1912. Blessed Camilla Battista da Varano, sister of the Poor Clares and founder of the monastery of St. Clare in Camerino; born April 9, 1458, in Camerino, Italy, and died in the same city May 31, 1524. Now the leader in delivering television’s best religion-based content is pleased to announce a new way for Catholics to get their news and views with the launch of a monthly digital magazine. The publication is available across multiple platforms: a free application for the iPhone/iPod touch is available in the iTunes Store, via a dedicated application for the Apple iPad and available online at (www.catholictv.com/magazine). A prominent part of the iCatholic™ social media site, the iCatholic digital magazine features interviews, analysis, news, commentary and profiles of the people in the Catholic community across the U.S., along with programming information and news from CatholicTV Network. Plus, the magazine is chock full of vibrant videos, bright photos and online exclusives. The digital magazine will feature articles from well-known Catholic voices and offer submissions by a team of the best writers from around the county. The headline story in the current edition of iCatholic is about a new television series, Hope on Campus, produced by the Brotherhood of Hope; plus features articles focusing on the encouraging ministry being done on university and college campuses, high schools and in parochial settings around the nation. 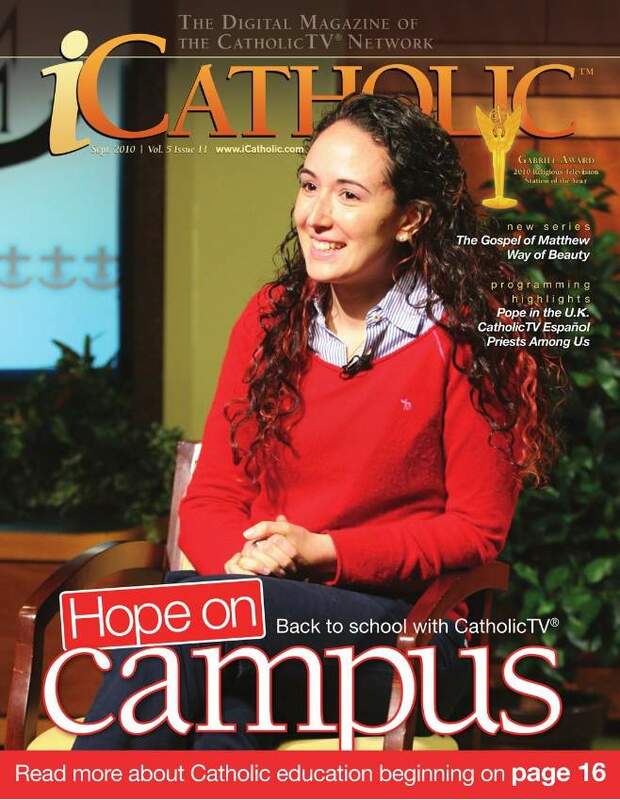 The edition also contains a schedule of the new fall television season on the CatholicTV Network. Having lived in New England all my life, I have come to look forward to the autumn. The cooler air and downright chilly nights are a wake-up call; the brilliant colors of the turning leaves grab one’s attention. At the CatholicTV® Network, we are particularly excited about this fall season. If you are a viewer, you have already had a taste of some of our new programming, both shows produced here in our studios and those we have acquired from all around the nation and the world. Beyond programming, however, we continue to reach out to an ever-growing audience so as to connect people with Christ Jesus and with one another. We are proud of our new digital magazine entitled iCatholic featuring news about CatholicTV and stories and profiles of the people who make up the Church in the United States. If you are fortunate enough to have an iPad or iPhone, you can carry that digital magazine around with you by downloading the iCatholic app from iTunes. You can also read and enjoy this media-rich digital magazine at CatholicTV.com/catholic-magazine. We also welcome you to join our innovative on-line community at the easy to remember address: iCatholic.com. This new website allows you to “meet” and interact with other members of the CatholicTV family and makes it possible for you to help us to make our new digital magazine even better. These are just some of the “colors of the season” at CatholicTV, where it’s all for YOU!